What do Ben & Jerry’s Ice Cream, Patagonia, and Hawaiian Paddle Sports all have in common? We’re all Certified B Corps! 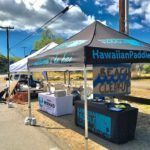 As of December, 2015, Hawaiian Paddle Sports joined over 1,500 companies around the world who are using business for social and environmental change.  B Corps are for-profit companies certified by the nonprofit B Lab to meet rigorous standards of social and environmental performance, accountability, and transparency. These companies actively champion change within their community and around the world. They take actionable steps to reduce their environmental impact, improve society, and provide for their employees. B Corps are to business what Fair Trade certification is to coffee or USDA Organic certification is to an apple. Believe it or not, you’re probably more familiar with B Corps than you realize. Have you ever purchased something off Etsy or donned a fleece from Patagonia? If so, you’ve supported a B Corp.
B Corps come in all shapes and sizes, ranging from internationally recognized name brands to small businesses with less than 20 employees. They cover 120 different industries and have been established in 42 countries. Despite the wide diversity, B Corps are all committed to a single, simple principle: to use business as a force for good. Businesses seeking to become a B Corp must undergo a rigorous evaluation process that assesses the company’s overall impact on its stakeholders. Certification is conduction through B Lab, a nonprofit organization that drives systemic change within businesses. The vision of B Lab is that one day all companies compete not only to be the best in the world, but the Best for the World®. 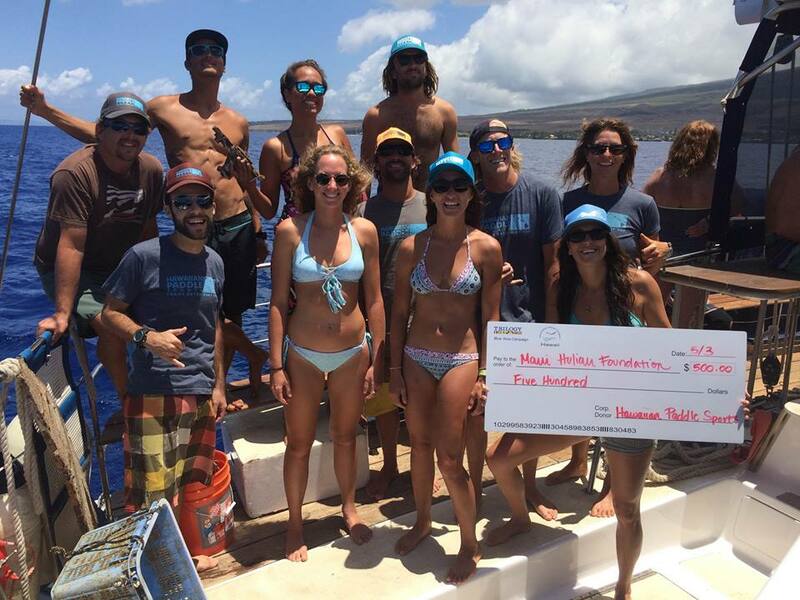 HPS organizes Thanksgiving Day paddle to raise money and food for Maui Food Bank. 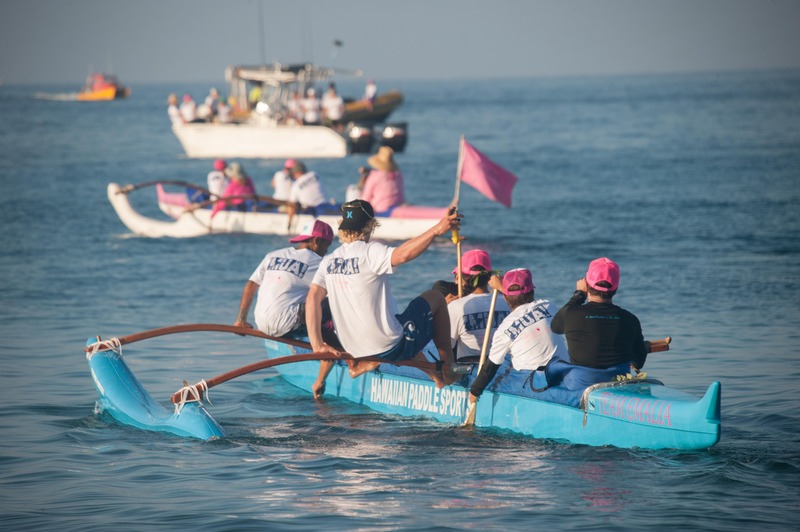 Here at Hawaiian Paddle Sports, the ocean is not only our playground, it’s also our livelihood. We are founded on the principle of kuleana – Hawaiian for “responsibility”. As an ocean activities company, we see it as our kuleana to make decisions that are good for the ocean and good for our community. 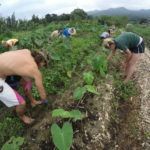 By becoming a B Corp, we reasserted our commitment to environmental and social change. In doing, so we joined a global network of like minded companies who are changing how the world does businesses. 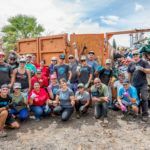 As the first and only B Corp to be certified Maui, as well as being one of the few certified activity tour companies in the world, we are excited to spread the B Corps mission throughout Hawaii. 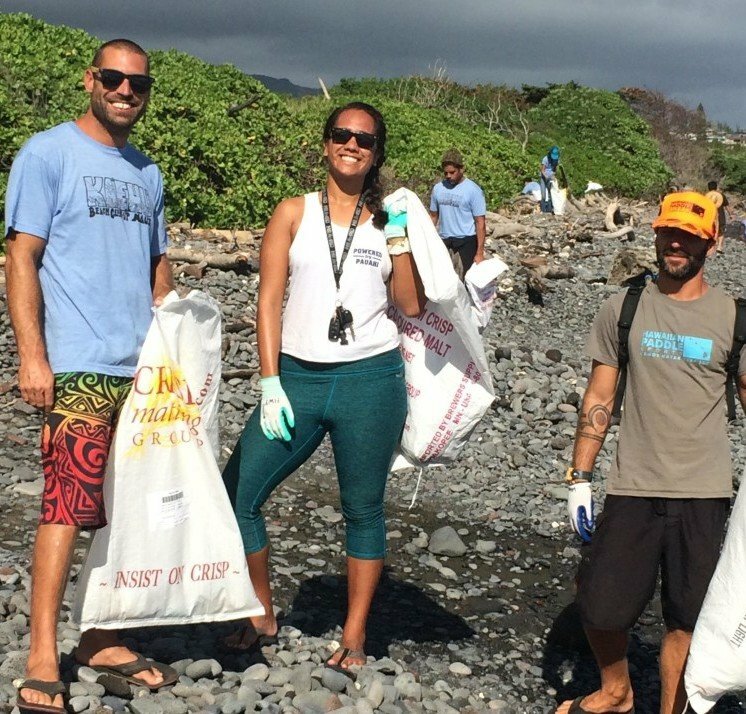 Our vision at Hawaiian Paddle Sports is to develop a community of sustainable-minded ocean stewards who cultivate a sense of kuleana (responsibility) globally. Through our private, authentic eco-tours, we empower our guests to discover a deeper appreciation of, and connection to, Hawaii’s marine environment. 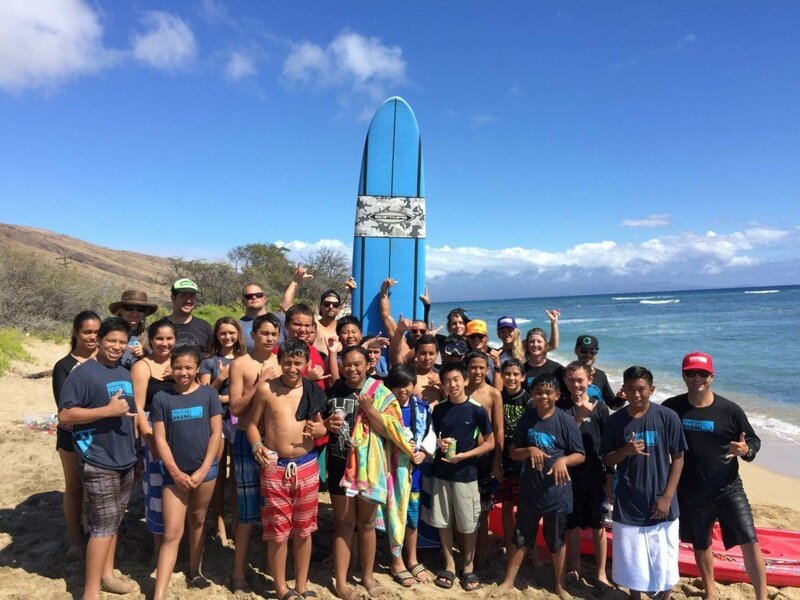 HPS guides provide free ocean activities for Maui Youth and Family Services at risk children. We are driven to make a difference – not just a profit. As a Certified B Corp, Hawaiian Paddle Sports is legally required to consider its stakeholders – from employees and guests, to our suppliers, community, and the environment. We constantly assess the impacts of our business decisions, and strive to be as sustainable as possible. Our business is conducted with the utmost transparency, integrity, and always with the greater community in mind. We recognize the value of our employees. Simply stated, our employees are some of the best in the business – and they’re a critical part of our success. We provide every employee with a living wage and full benefits package, not to mention continuing education opportunities. Hps guides volunteering at Sustainable Coastlines Ka’ehu beach clean up. We take actionable steps to reduce our environmental impact. Single-use plastics are one of the biggest threats to our ocean ecosystem. We do our part by conducting mini beach cleanups before each tour and have reduced our plastic consumption by replacing single-use plastic water bottles with reusable, stainless steel bottles. We also use each tour as an opportunity to teach our guests the importance of a sustainable lifestyle. We support our local community. 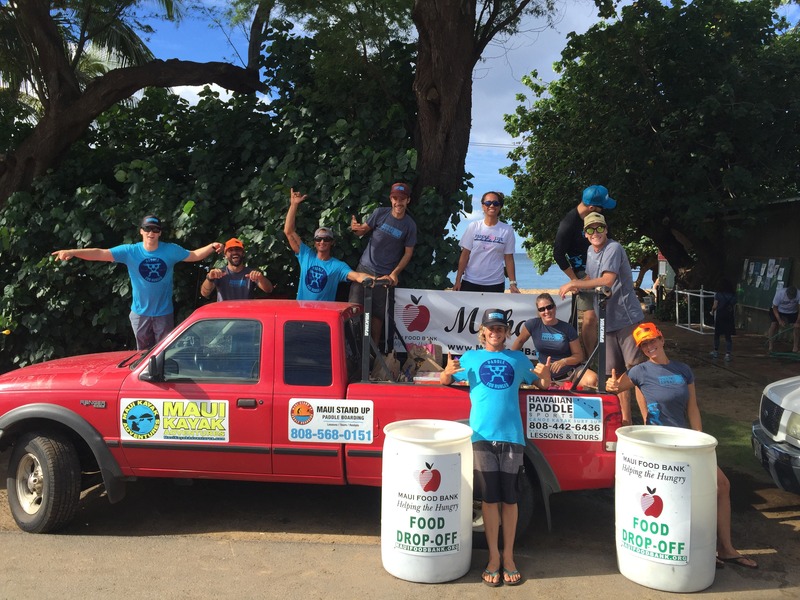 With our “Malama Maui” monthly give-back program, Hawaiian Paddle Sports provides critical funds, volunteer support, and resources to local organizations year round. Through the program, we’ve helped restore coastal wetlands, conducted beach and reef cleanups, and given underprivileged youth the opportunity to get out on the ocean. So with millions of companies around the world trying to get your business, how do you know which ones are B Corps? The answer is simple: look for the logo. All B Corps include the B Corp logo on their website, promotional materials, or products. By choosing companies with the B Corp stamp of approval, you can rest assured that you are supporting a conscious and sustainable business, one that is committed to social and environmental change. 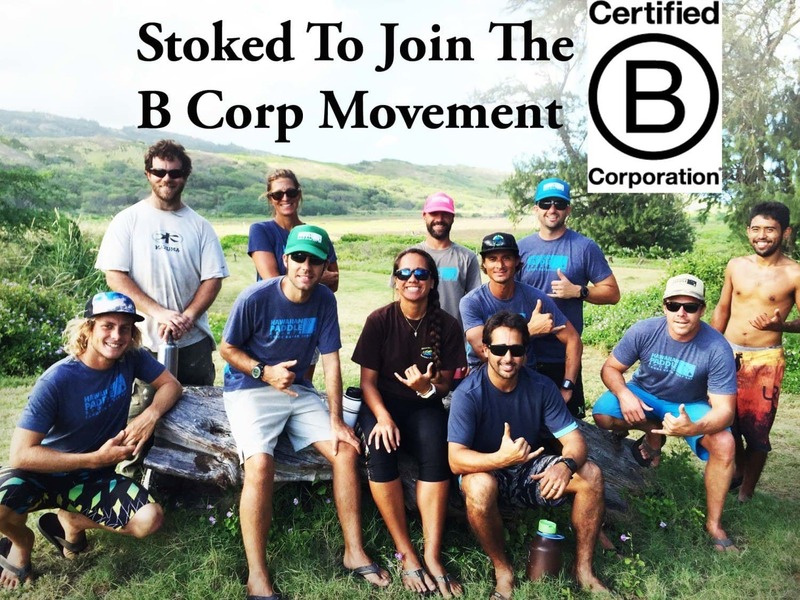 B Corps are changing the way the world views business, and here at Hawaiian Paddle Sports we are proud to be part of a growing network of sustainable minded companies.